With On Chesil Beach, director Dominic Cooke joins a legacy of remarkable theater-turned-film directors. While On Chesil Beach marks Dominic Cooke's film debut, he's been refining his directorial skills for over twenty years on the London stage. After graduating from Warwick College, Cooke gravitated to the stage, joining the Royal Court Theater in 1995 where he directed a number of acclaimed productions. He moved over to the Royal Shakespeare Company for a few years before returning to the Royal Court in 2006 to take up the role of artistic director. There he spearheaded a number of award-winning productions, including his 2007 staging of Arthur Miller's	The Crucible, for which he won a Laurence Olivier Award for Best Director. In 2016, Cooke brought his theatrical skills to television directing the BBC Shakespeare trilogy,	The Hollow Crown-The Wars of the Roses. 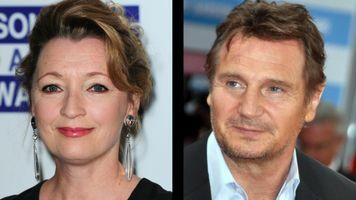 In bringing Ian McEwan's richly layered, emotional novel to the screen, Cooke both leveraged his deep theatrical experience and embraced the new medium of cinema. In working with his lead actors, Saoirse Ronan and Billy Howle, Cooke would often let scenes play long, allowing the drama to unfold as if on a stage. "It felt almost like theatre acting," exclaimed Ronan. 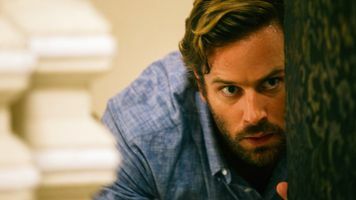 To find the right film style, Cooke collaborated intimately with cinematographer Sean Bobbitt and production designer Suzie Davies. In shooting the film, he reviewed with Bobbitt the work of auteur John Huston, which gets, according to Cooke, "the story told more with the camera than with the edit." For	The Globe and Mail's Mark Medley, "The film's most impressive performance might come from director Dominic Cooke, who has delivered an assured, wistful debut." Cooke's successful transition into a film director reminded us of how many other great filmmakers started off working in theater. We look back at others who moved from stage to screen. When theater director Stephen Daldry released his first feature,	Billy Elliot, he was genuinely shocked by the popular response. "To be frank about it, it was - is - a small budget British film that faced struggles in its making," Daldry told The Guardian. The tale of a young boy trying to find his way in a grey British town echoes some of Daldry's own artistic trajectory. Growing up in the English town of Taunton, where his bank manager father frowned on his son's fascination with theater, Daldry directed small plays at school before, quite literally, running away to join the circus. In Italy, he worked with a small troupe to learn the circus arts and to train as a clown before moving back to England. In 1992, he gained national attention with his radical reworking of J.B. Priestley's well-trod An Inspector Calls. His staging won him a Laurence Olivier Award for Best Director of a Play in England; the next year, the play won a Tony on Broadway for, as	The New York Times put it, "Turning 1946 Stale Into 1994 Stunning." During this period, Daldry took over as the artistic director of the Royal Court Theater (where in 1996 he hired the Court's future artistic director Dominic Cooke as an associate director). While at the Royal Court, the production company Working Title started grooming Daldry for cinema. 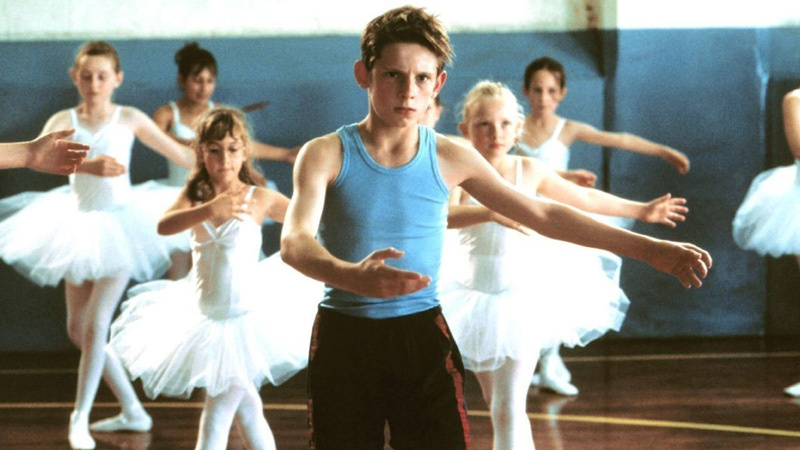 In 1998, Daldry directed a short film, Eight, before moving on to a feature with Billy Elliot. It was only supposed to be a small independent film made for $5 million dollars. It turned out to be an international phenomenon, earning over $100 million worldwide and launching a hit Broadway musical. 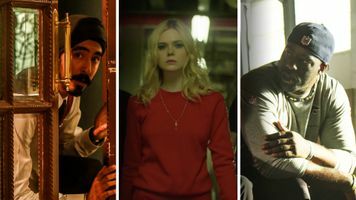 On its release, Daldry admitted to	The Guardian that while he finds filmmaking "genuinely exciting," "Most of my enthusiasm is quite childish; it reminds me exactly of what it was like working in my early 20s in theatre." This novice was not only nominated for an Academy Award for direction for Billy Elliot, but for his next two features, The Hours and The Reader, as well. Before writing and directing Citizen Kane, the 1941 film that for fifty years the British Film Institute ranked as the Greatest Film of All Time, Orson Welles directed theater. After working as a stage and voice actor in his late teens, Welles was hired at age 20 to join the Federal Theater Project (FTP). In 1935, the FTP, which had gathered together much of New York's unemployed theater world, provide the perfect factory for Welles' oversized dreams. He put on a version of Macbeth with an all African American cast and was set to direct Marc Blitzstein's radical musical The Cradle Will Rock, before the government shut it down. At 22, Wells founded the Mercury Theater whose remarkable roster of talent would later form the repertoire company for his films. After conquering the stage, Welles launched a total assault on radio in 1938 with his infamous adaptation of H. G. Wells' The War of the Worlds, a recoding that had people really believing Martians had come to take over Earth. Wanting to scoop up this Wunderkind before anyone else, RKO Radio Pictures in 1939 offered Welles a unprecedented two-picture contract. Not only did they offer him a percentage of the profits, but gave him complete creative freedom. 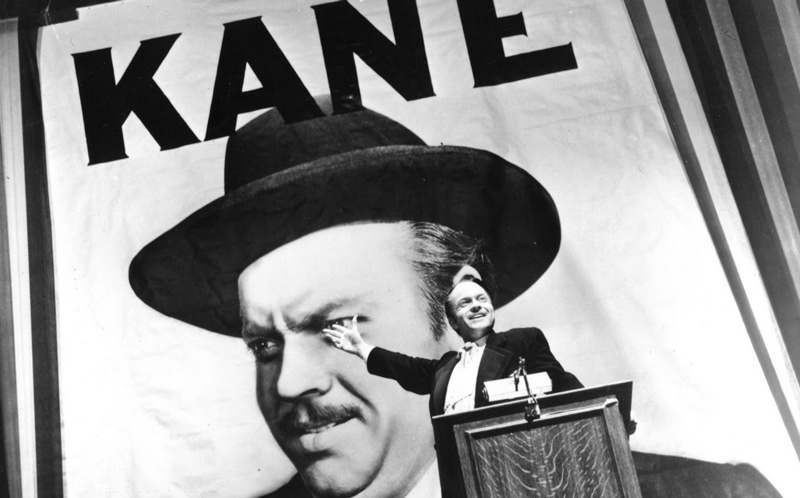 After several false starts, Welles landed on a project he called	American, later changed to Citizen Kane. With complete bravado, Welles imagined a cinematic portrait constructed out of various genres, perspectives, and film styles, all brought together to capture the rise and fall of a powerful man who clearly was modeled on publishing magnate William Randolph Hearst. While the film would initially fail at the box office-mostly from Hearst's machinations-its stature would grow, turning Welles into what The New Yorker critic Richard Brody calls "the Shakespeare of cinema." As a rare EGOT, Mike Nichols carved an artistic legacy from a simple desire to entertain people. After a tragic childhood- losing his hair from whooping cough, then escaping Nazi Berlin at age seven-Nichols found companionship and community in performing. After teaming up with Elaine May in the late '50s, the pair won a Grammy for their comedy album	An Evening with Mike Nichols and Elaine May. Nichols moved to a bigger stage with theater. In 1963, he was tapped to direct	Barefoot in the Park, a comedy by new playwright named Neil Simon. For Nichols, the experience changed his life. It not only won him a Tony Award for Best Direction of a Play-the first of his nine Tonys-but confirmed the direction of his life's work. "On the first day of rehearsal," Nichols recalls, "I thought, 'Well, look at this. Here is what I was meant to do.'" 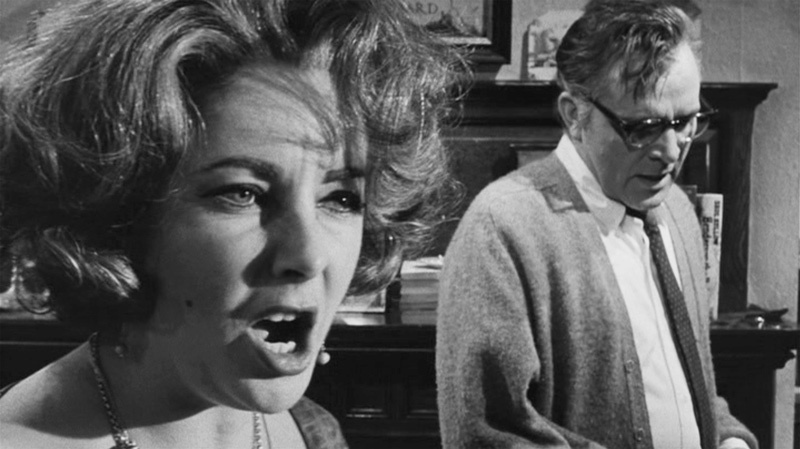 Three years later, Warner Brothers hired him to helm the film adaptation of Edward Albee's	Who's Afraid of Virginia Woolf?-even though he had never directed the play on stage. Elizabeth Taylor and Richard Burton, who'd already been cast as the play's married couple from Hell, pushed for Nichols to direct. The acting duo believed that Nichols knew how to unleash both the story's emotions and humor. In making the play a film, Nichols pushed for it to be shot in black-and-white and worked intimately with the editor Sam O'Steen to cut together lots of overlapping dialogue to heighten the drama's chaos, a technique he'd often used in theater. The film received thirteen Academy Award nominations (including Best Director), and won five, although not for Nichols' direction. A year later, he did win the Academy Award for Best Director for The Graduate. He would go on to win Emmys for bringing two notable plays, Wit and Angels in America, to TV. After nearly fifteen years directing theater in London, Sam Mendes decided to try his hand at film when he was given the script for	American Beauty. Executive producer Steven Spielberg, who had described Mendes' 1994 restaging of the musical Oliver! as a "visual candy-store," saw cinematic potential in him. Mendes proved himself a prodigy directing Judi Dench in Chekhov's The Cherry Orchard when he was just 24. A year later in 1991, Mendes became the artistic director of Donmar Warehouse, where his fresh revivals of classic musicals, like Stephen Sondheim's Assassins and Kander and Ebb's	Cabaret, brought him international acclaim. Mendes wasn't the studio's first choice to helm American Beauty, but no one was unhappy with his final product. The film was a critical and commercial smash, receiving eight Academy Award nominations and winning three, including Best Picture and Best Director. He also won a Golden Globe and Directors Guild of America award for his work. "You expect Mendes to shine at dialogue and performance," Rolling Stone's Peter Travers noted. "What's astonishing is this theater man's visual sophistication." As a filmmaker, he worked closely with cinematographer Conrad Hall to highlight the characters' internal chaos by using formal set ups and slow camera movement throughout. From an early age, Julie Taymor refused to recognize the boundaries between storytelling traditions, genres, and even media. After working at a local Boston theater during high school, she moved to Paris to study mime with Jacques LeCoq. In the 1970s, she traveled the world, absorbing everywhere something new, different and exciting: shadow puppetry from Indonesia; ceremonial masks from Bali; bunraku and kabuki theater from Japan; dance from India. She melded these various cultural influences into a new style which she expressed first through a series of spectacular Shakespeare productions, and then in 1997, with her adaptation of Disney's animated classic The Lion King on Broadway. 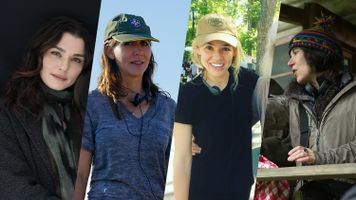 The show's success, which garnered her a Tony Award both for Best Director and Costume Designer, opened doors for her to make her first feature film. Moving far from Broadway, Taymor chose to make Titus, an adaptation of Shakespeare's ultra-violent tragedy Titus Andronicus. 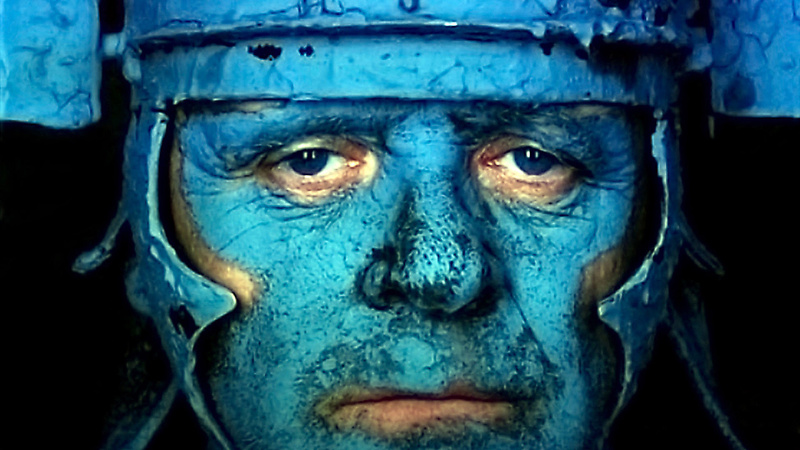 With Anthony Hopkins in the title role, the film shows off Taymor's courageous, unfettered imagination in its use of costumes, make up, and set design. While The Lion King might appear worlds away from the spectacle of cruelty in Titus, Taymor sees a continuity in her work. Both are about "creating a new taste, a new feel, a new experience," Taymor told	NEA Arts Magazine. "I love to blend forms, so my cinema is very theatrical, my theater is very cinematic."